When my husband and I were in the Niagara region in June, we stopped by a lavender farm. I like lavender alot, and thought that given its peaceful and relaxing aroma, it would be the perfect place to visit on my sabbatical. The web site made it look like a lovely place and they offered the added bonus of a tour. Only minutes after getting out of the car we were greeted by Melissa Achal who, together with her husband, owns Niagara Essential Oils and Blends (NEOB). I was immediately struck by her vibrant personality and readily agreed to her suggestion of a tour. From the dusty parking lot, however, I wasn’t sure what exactly we were going to see that was so interesting. All I could see were a few nearby fields of lavender plants. Melissa motioned me over to the greenhouse to our right, and ushered me through the door. The sight inside took my breath away: it had rows and rows of blooming lavender, of course. But also had enormous rosemary bushes in the centre, a large section of scented geranium and a huge stand of bright yellow calendula. This was more than just a lavender farm. 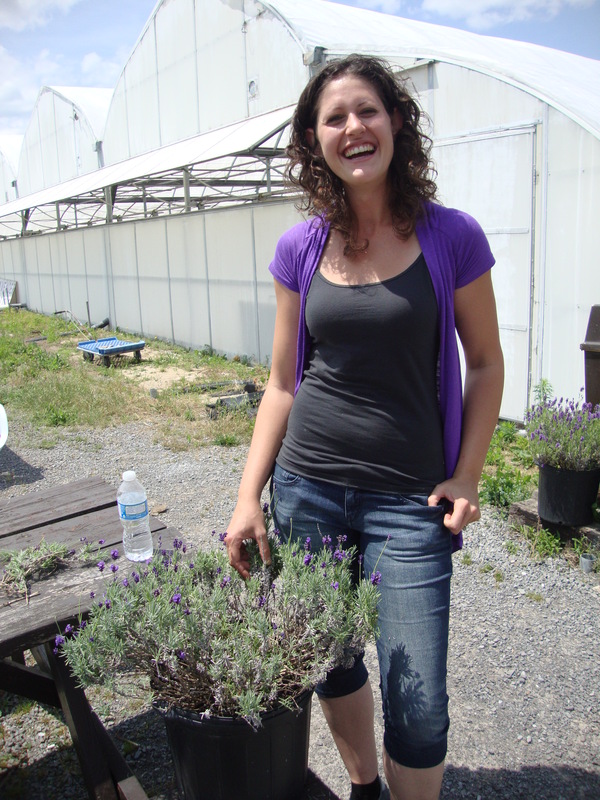 Throughout the tour, Melissa gave me a thorough lesson on the difference between French and English lavender varieties, both of which they grow. 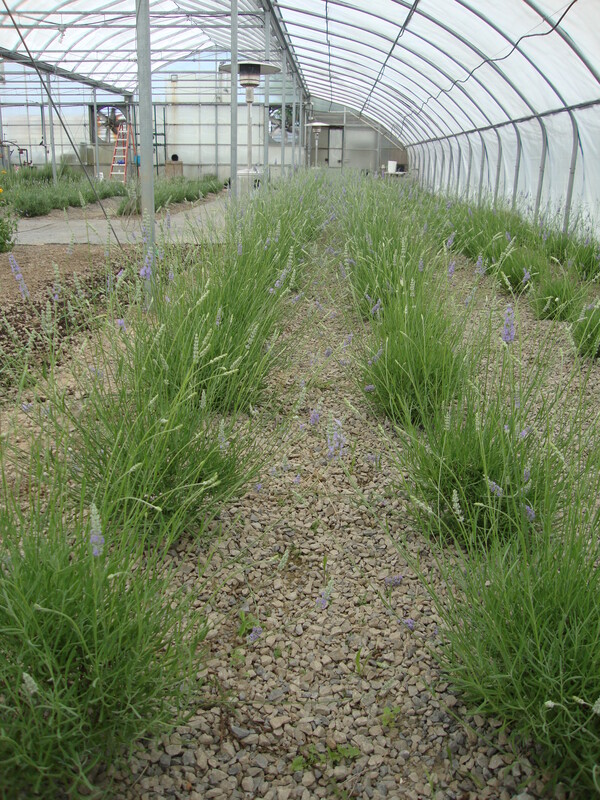 Most of us here in Ontario grow English lavender in our home gardens, given its ability to better withstand our harsh winters (NEOB gets around that by offering the protection of the greenhouse). Both are purple and bushy and look so similar that few would notice the difference. Indiginous to South Africa, rose scented geraniums (more properly called pelargoniums) are rather plain looking but have an incredibly strong scent. They, too, can be used for skin afflictions like exzema and rashes but are also used to flavour foods like ice cream or candy, too. Finally, my favourite: rosemary. Seeing the large bushes in that greenhouse instantly made me think of Bermuda and my friend, D. Twice I visited him while he was a minister there, staying in the manse (which is conveniently located across from the botanical gardens). Out in front of the church’s elegant yellow house is a huge stand of rosemary. 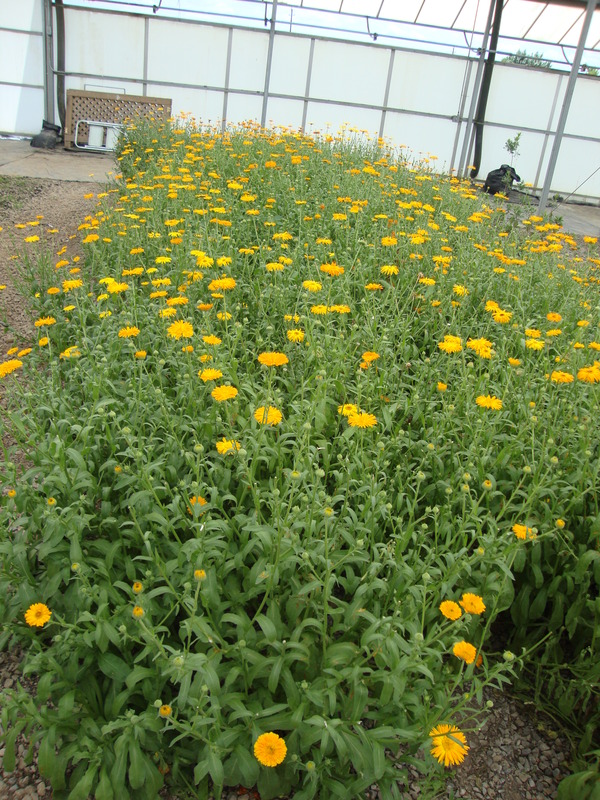 Seeing it there came as quite a shock for me, having only ever seen the Canadian version–a few insipid sprigs in a cellophane bag in the grocery store or a small plant grown in a pot over the summer months. I was so taken with those rosemary bushes, in fact, that I couldn’t resist bringing some home with me. On the day of our departure, I stuffed several ziplock baggies full of its smallest branches and put them in my suitcase. It was only later, when we were in the line at airport customs, that I realized this may not have been a great idea. Thankfully, no drug-sniffing dog came my way and no officials seemed to mind. I only brought it home to flavour a few soups and sauces, anyway. After a wander through the flowers, Melissa turned and asked me to stop taking pictures as we came upon an odd-looking contraption made of a ragged assortment of hoses and glass bottles. I thought it might produce moonshine until I noticed the grey-ish lavender stems stuffed into a clear glass container in the centre. This, Melissa tells me, is where they trap the moisture evaporating from the harvested plants. It will be distilled to become essential oil, a product used on its own or to make soaps and other products. I thought it was odd to forbid photos but suppose they are protecting the tricks of the trade from competitors with less than noble intentions. Just like every Disney attraction, our tour ended in a gift shop. There, in a room full of pungent smells and pretty displays, I sniffed the distinctive scents of all that they produce. 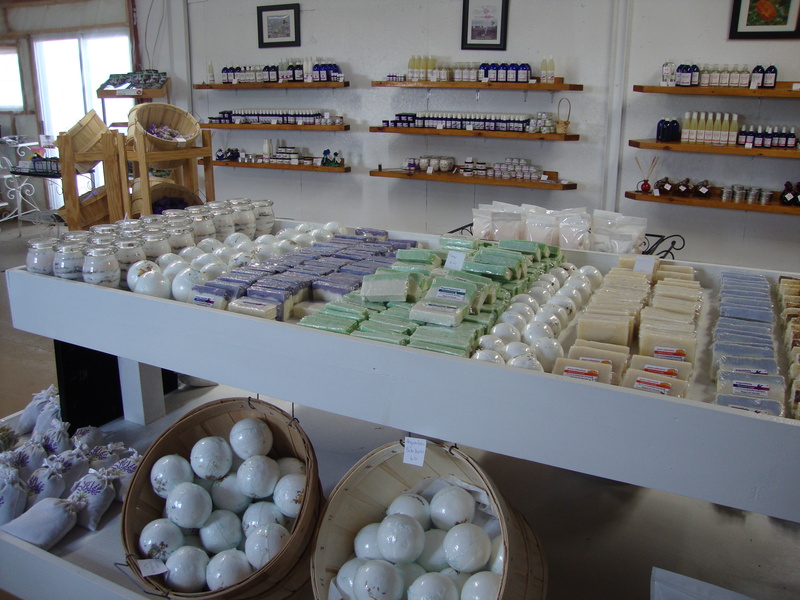 I considered the merits of hand soap, dried blossoms, and even gluten-free lavender shortbread. I looked at the pottery plates and bowls painted with purple and green lavender stems. I leafed through a cookbook. I finally decided to purchase hand soap to fill up my bathroom with the aroma of English lavender, and a wall clock decorated with french words and a rustic picture of lavender blossoms. That, and three good-sized lavender plants of my own to take home and grow in my garden. Like many things in life, I found that the tour of the lavender farm was not exactly what I expected and yet it was still quite wonderful. It provided a feast for the eyes as well as for the nose. It gave me new information on familiar plants and a window into an industry I had never considered. It may not have been stopping to smell the roses exactly, but it certainly was stopping and breathing in some fresh, sweet aromas. It was a wonderful way to spend a sabbatical afternoon. 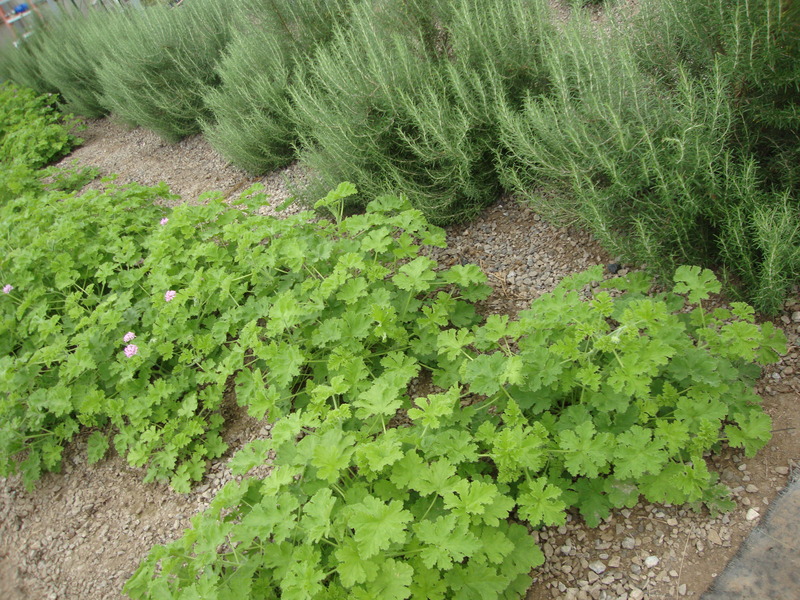 This entry was posted in Uncategorized and tagged garden, lavender, memories, niagara, plants. Bookmark the permalink.